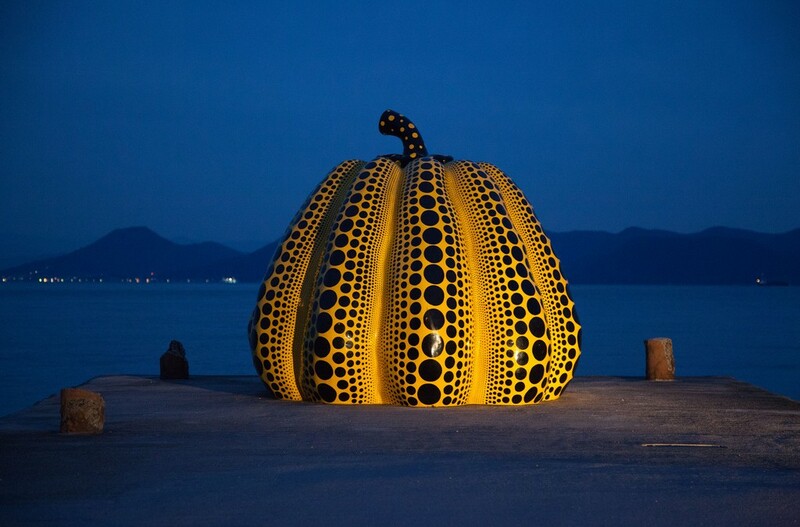 Kusama Yayoi, Pumpkin, 2006, Naoshima, Japan. The following student curated virtual exhibitions examine the revolutionary transformation of Japanese artistic practice from the late 19th century through the present day. Drawing upon a variety of media ranging from prints, photography, oil painting, textiles, and time based art these exhibitions investigate the various ways in which technological shifts and cultural transformations have shaped artistic production and media consumption within modern and contemporary Japan. We invite you to explore the site and immerse yourself in these interesting student research projects.